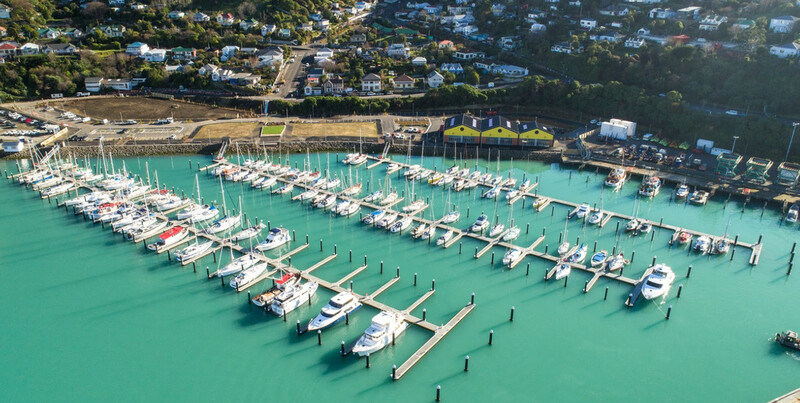 Te Ana Marina features 170 floating berths with lengths of 10m -36m, providing shelter for yachts and powerboats. Berth holders can enjoy the convenience of walk on access, water and power services, and WIFI to their boat. Te Ana’s location in the safe wave environment of Lyttelton’s inner harbour offers protection from major weather events, not to mention the beautiful views at hand. my berth? No. The berths are available for licence only, but we will protect your tenure. Each berth will have a separate rental agreement, renewed annually, with no minimum term. will it cost? Fees will range according to the size of your vessel. We’re keeping life simple by rolling up all marina license costs into a single annual fee, paid monthly. a haul out? There will be no land storage or launch on site. We are working with nearby Naval Point Club to develop a haul out solution for our berth holders. or live-aboard? Clean commercial boats and live-aboard opportunities will be limited and based on an application and approval process. An additional fee for these will apply. fuel available? We are working through options to provide fuel and anticipate that this will become available in future stages. berths available? Yes we still have berths available in the 12m to 16m range, but they are in hot demand and selling quickly. All fees are subject to change from time to time. No part of a boat (including fittings and attachments) may extend beyond the dimensions of the berth unless LPC approves otherwise in writing. Out of dimension boats are a breach of your license. Without limiting any other right or remedy LPC may have (including termination), you may be required to move to a larger berth and pay the fee for a larger berth if your boat is oversized. Casual berths are strictly subject to availability, confirmation and pre-booking - call the Marina office. Living aboard and commercial use is by approved application only. All fees are payable in advance on or before the 1st day of each calendar month (or on or before the commencement date of the berth license or live-aboard or commercial use period (as the case may be) for the first monthly payment). Payment method includes credit card and EFTPOS at the Marina office (no cheques). An additional fee of 2% will be charged to all credit card payments.